March 5, 2019--He’s soft-spoken and steady, with paper white hair and a knowing smile. 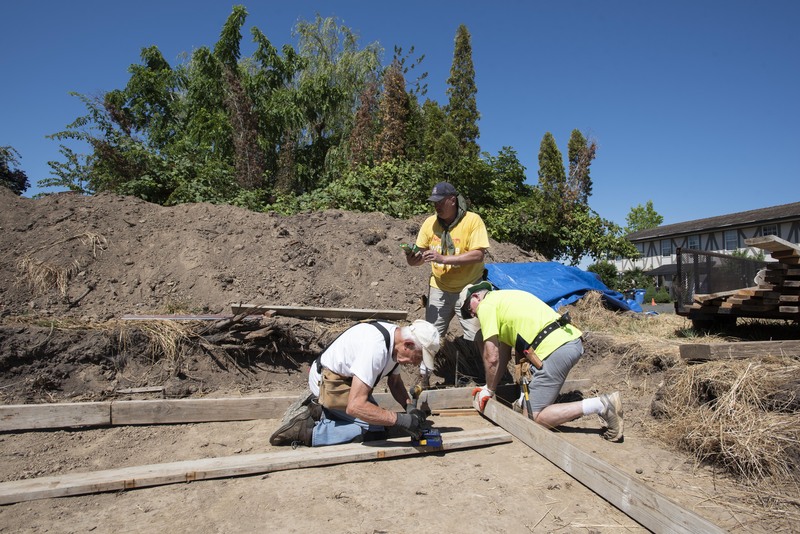 Clad in bulky knee pads and a leather tool belt, John Stoffregen works diligently, building Habitat homes alongside a group of core construction volunteers. At 80 years old, he is the eldest volunteer of the bunch. Up until recently, he was still climbing ladders and helping with roofing. Per his wife’s request, his ladder-climbing days are over, but he’s still a regular on the job site. 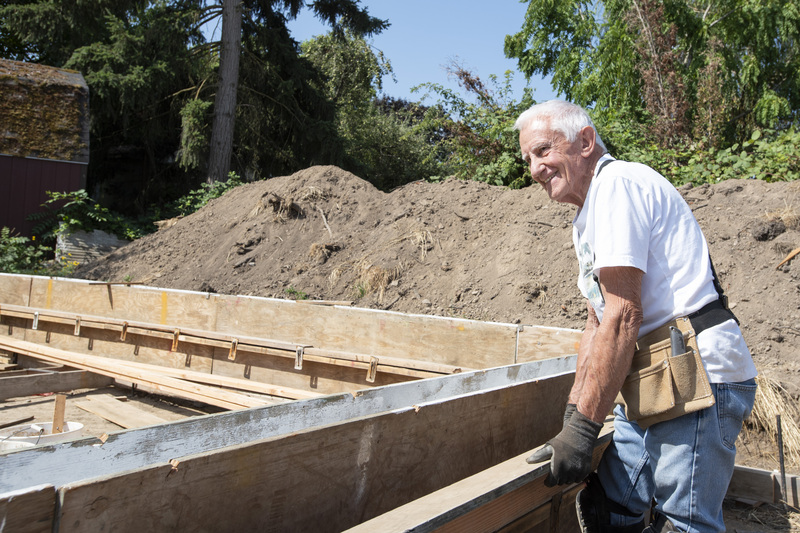 In the past 10 years, he’s helped build more than a dozen homes for North Willamette Valley Habitat for Humanity. Fellow construction volunteers call him the “watch maker” because of his attention to detail. Stoffregen is a skilled carpenter, but no job is too small for him. When there is a lull in activity or too many volunteers on a certain job, he’s the one that picks up the broom and dustpan and cleans up the site. “I hope he has many years of building ahead of him,” Mason said. Construction volunteer Carl Menkel said he’s always upbeat, brings loads of tools with him and is ready for any task. Stoffregen plans to keep volunteering as long as he possibly can. He attributes his health and fitness to a combination of things. Part of what keeps him coming back year after year, build after build, are the crew members he works with, many of whom are in their late 70s. “In my opinion, we have one of the best crews around because everyone is self-sufficient,” he said.